REDUCED $5000!! 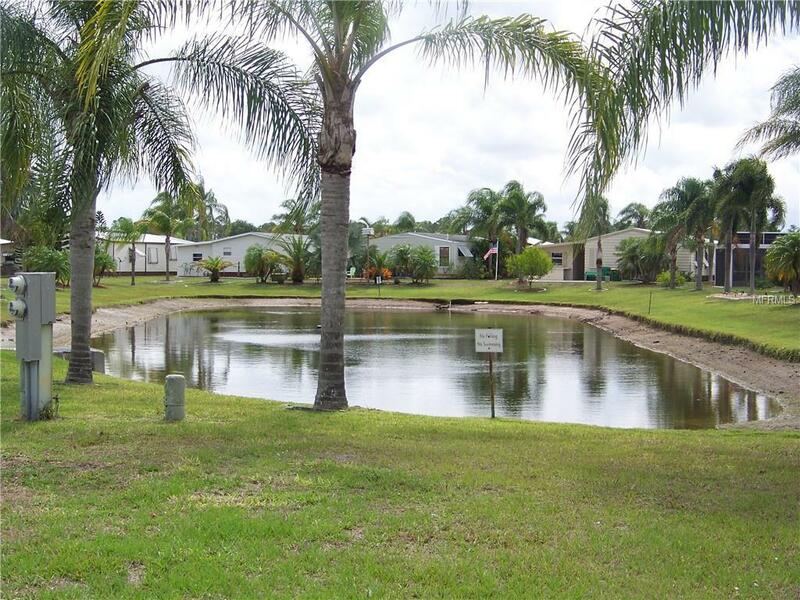 !Cozy home located on pond with water feature that is being offered furnished/turnkey, with "land" share, listed for just over $100K. All located in beautiful Burnt Store Colony...the "Mercedes Benz" of park/community living! 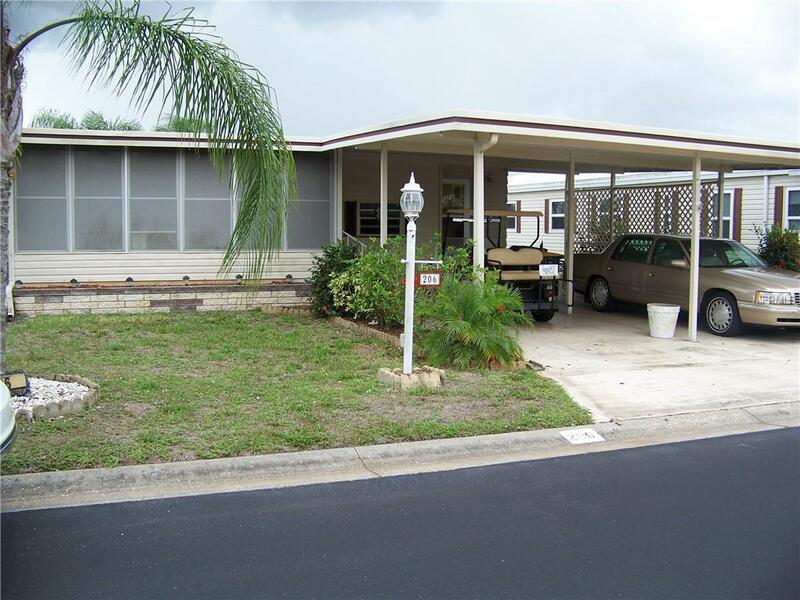 This adorable 2 bed/2 bath home w/all weather A/C'd lanai(window unit)is great size and located on front of home, there is a small patio like area in rear to sit and view water. Very close to all the amenities in park & shows bigger than it actually is! 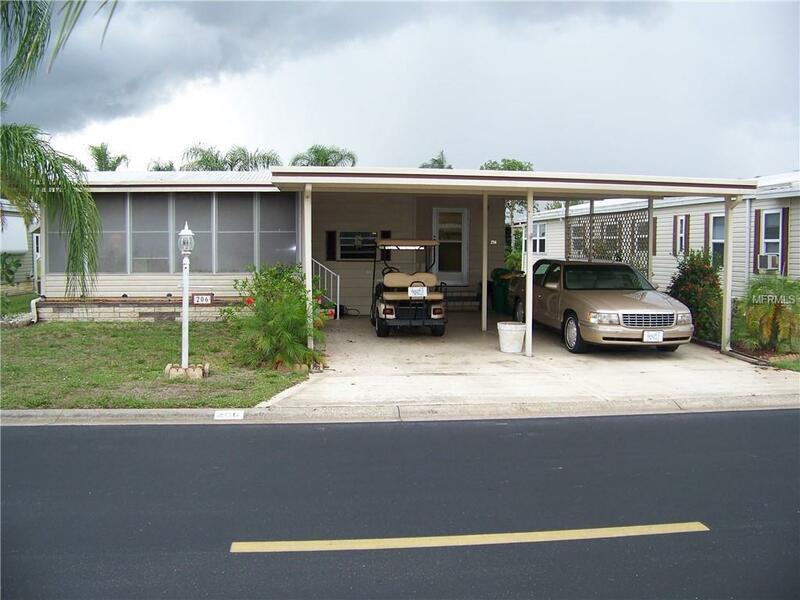 Home sits lengthwise on lot for convenient side by side parking, has stamped driveway & storage shed right outside the front door that contains washer/dryer. As you enter there is a quaint eat-in kitchen w/newer smooth top range, newer dishwasher & also newer wood-like laminate floor. Great room/dining is very large w/cathedral ceiling & exposed beam. Sliders to lanai. 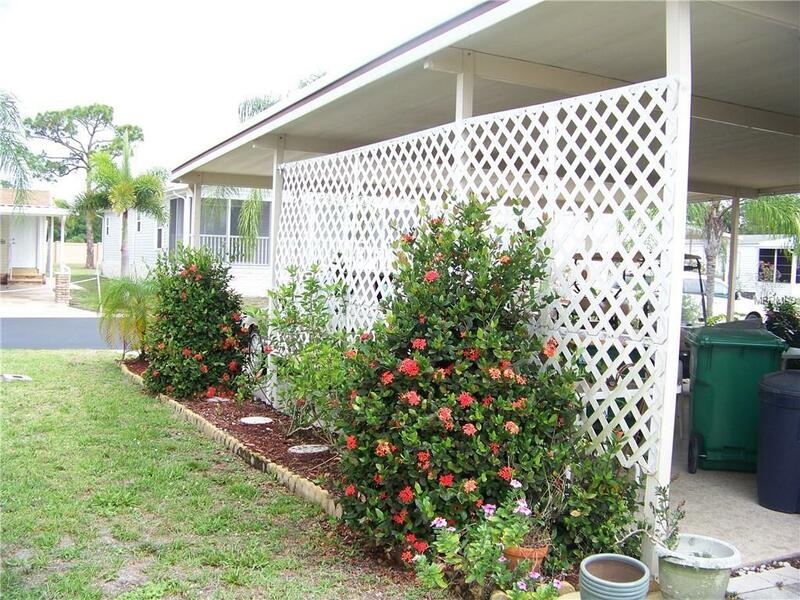 Master bedroom is ample size & has a large walk-in closet & newer carpet. Master bath has shower only & tile floor. Guest bedroom has newer carpet as well... & guest bath is good size w/combo tub/shower, lg. vanity & tile floor. Lots of windows for natural lighting. CPVC plumbing(no poly), post hurricane Charlie metal roof over, A/C maintained annually & home pressured washed(2018 done). NO popcorn ceilings & no built-in china cabinet. Great price to own your own little piece of paradise in Burnt Store Colony! Financing can be obtained, please call showing #. Listing provided courtesy of Jones & Co Realty.